How an AI Powered Cab Dispatch System Brings Efficiency To Your Business? Artificial Intelligence (AI) and Machine Learning (ML) are the most frequently used terms in every industry today. They have enormous advantages as tools simplifying complex and time-consuming processes. They also improve the efficiency of central business functions at both basic and advanced level. For example, AI is used to increase the time and cost efficiency of the HR function by allowing the application screening and query resolution processes to it. The technology has also found application in medicine for planning treatment plans and even for foretelling the chance of death during surgical procedures. Commercial airlines use AI as an autopilot on their flights. The utility and application of AI and Machine Learning have now exceeded any realm of uncertainty. And considering the technology-driven nature of on-demand taxi businesses, it was only a matter of time before AI was driven into service in this business. Through the use of its subfields such as Machine Learning, Deep Learning, and Predictive Analysis, AI has let taxi businesses to enhance the productivity and degree of personalization of their companies. 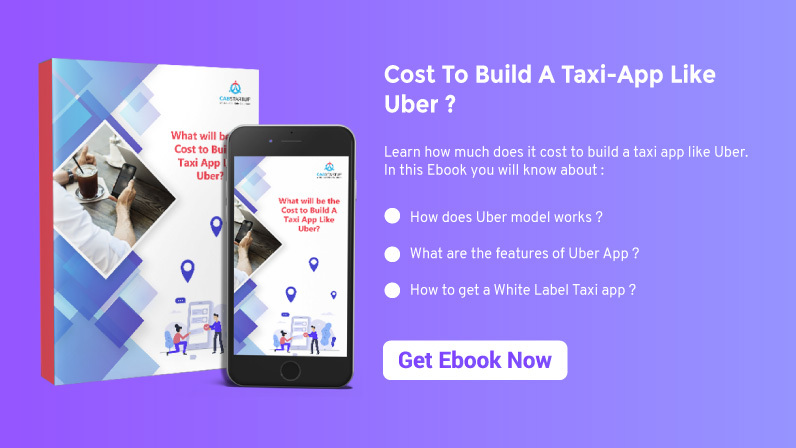 It is through AI that White Label Taxi Dispatch app such as Uber and Lyft decide the price of your ride and minimize the waiting time after a cab has been booked. And in case you were querying how Uber sends you a discount message just around the time you usually hire a taxi, you now know the answer. Apart from these existing applications of AI in the taxi business, the recent development of an AI-based Taxi Booking and Dispatch System has got the whole on-demand taxi industry humming. This system guarantees to automate and improve taxi app functions and processes to keep the app in line with the demands of both the passengers and drivers. It helps you make your taxi app up-to-date with the current technological standards and would most likely keep it consistent in the future transportation market. Integration of AI in the processes of on-demand services brings a fair share of profits to the service providers. Data-driven analytics help business operators make smarter and well-informed decisions. Through a quick, accurate and in-depth analysis of historical patterns concerning consumer behavior and demand for services, AI technology allows business operators to find historical trends while taking a business decision. Predictive Analysis also helps you provide recommendations to your users, which is a significant revenue stream for on-demand service apps. The degree of personalization is what that separates an ordinary on-demand service app from a highly successful one. Your app users like to receive information, content and special offers that are specifically designed for them. 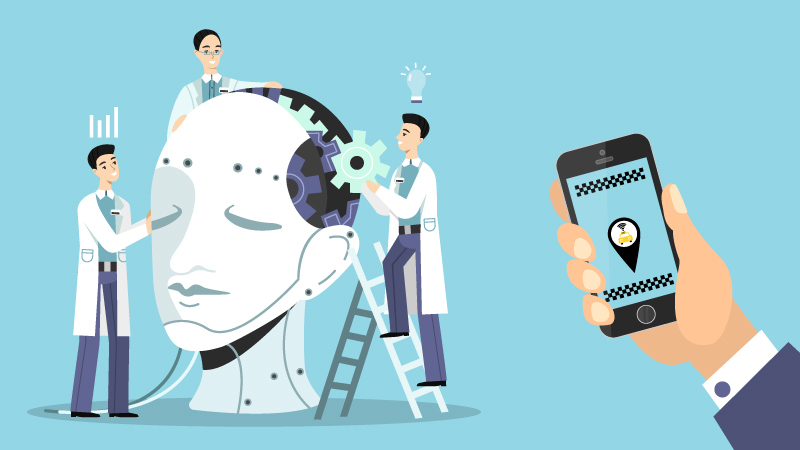 A significant benefit of integrating AI in your mobile app is that you get complete access to the user location, their peak activity time and platforms they often visit. You can then design special offers for them, at a time when they are most active and increase user interaction with the app. AI lets you take personalization to a level that was previously unattainable. Be it on social media, forums or across messaging platforms; you get an insight about how your users interact with your app and a load of valuable user feedback from external platforms. This data is invaluable; mainly when you are reviewing your app features, launching a new service or modifying user policy. Data-driven analysis and Predictive Analysis together increase the accuracy levels of demand prediction. AI’s effectiveness in Data mining is employed to recover historical data concerning the relationship between demand for taxis and time. The data is then analyzed using Predictive Analysis to provide highly accurate demand predictions. It helps the business operator mobilize resources efficiently. Logical Reasoning, a key component of AI, could be used to optimize drivers’ routes. The reasoning algorithm studies data sourced from the drivers who have traveled on the paths. The information is then analyzed for two factors, time and direction, and then optimizes the routes to assist the drivers to reach their destination in the shortest possible time. Data mining and pattern identification help change and give a structure to chaotic and disorderly data. This function simplifies data analysis which in turn helps solve some of the most relevant problems disturbing the dispatch system. Human error, a common question that arises in a taxi dispatch system, could be eliminated by including AI in the taxi business. Toyota, JapanTaxi, KDDI Corporation, and Accenture have together formed a four-way collaboration in Japan with the objective of combining AI in the taxi business. The investment has resulted in the successful development of a taxi dispatch support system which foretells taxi service demand. The system connects data sourced from taxi service records with demographic forecasts made by location-based data along with other factors affecting taxi demand including weather conditions, availability of public transport, etc. The system utilizes AI for foretelling the number of occupied taxis in Tokyo. Recent trials have proposed a 94.1% certainty in predictions. Each company performs a specific role. Toyota collects and examines all relevant data and provides taxi demand prediction data to JapanTaxi. JapanTaxi develops the app which contains this data to the drivers. It also collects information concerning the location of unoccupied taxis, service logs, and the suitable routes to find a passenger. KDDI generates a demographic prediction technology that analyzes and studies people’s movements from KDDI’s location-based big data. Accenture is tasked with developing the AI’s analytics algorithm that powers the demand prediction engine. This synergy of resources and knowledge has created a mostly accurate taxi dispatch support system by implementing AI in the taxi business. With an AI-based taxi dispatch support system, the ease of making accurate forecasts for your taxi business is increased exponentially. AI and Machine Learning are about to become essential components of a taxi app business. The earlier you adopt and integrate them into your business, the higher the advantage you get over your competitors. We provide white label cab dispatch system for all types of taxi businesses all over the world. Our available system can be customized according to your business needs. If you want to make your business successful by using advanced AI system for your transportation business, contact us today.